We have a special guest with us today! 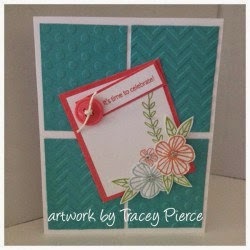 Tracey Pierce has made some beautiful artwork to share with us. I always love looking at what she comes up with each week! Happy Memorial Day to all! THANK YOU to those serving and who have served to give us the freedom we enjoy! Thank you to their families as well. The Diamond winner is Hilary H. and her lovely birthday card. 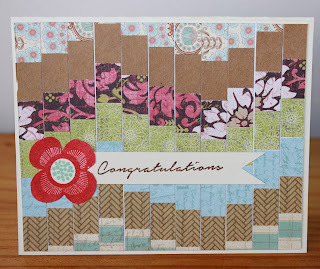 The Emerald winner is Dorothy S. and lattice background card. 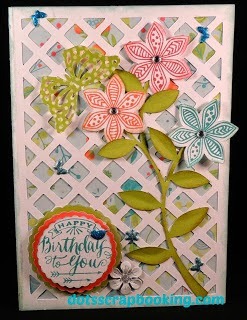 The Ruby winner is Sue R. and her beautiful butterfly card. 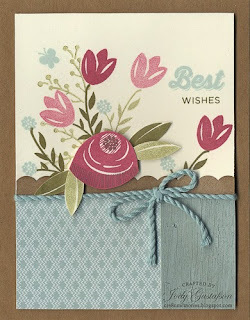 The Sapphire winner is Tracey P. and her pretty embossed background card. Congratulations to our winners! Be sure to grab your blog badge from the top of the page. Thank you to all who joined us in this week's color dare. We hope you'll come back and join us often! We love seeing your artwork! There is still time to join the current color dare! 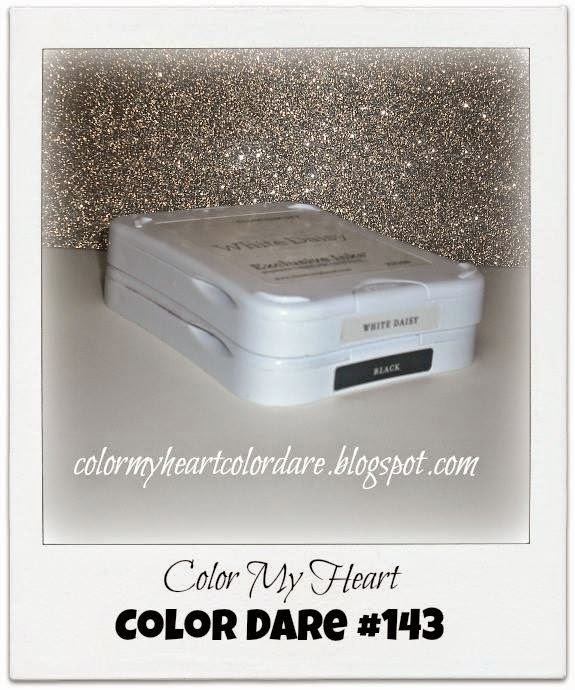 Color Dare #143 features Black & White with Gold (and or Flaxen). Click here to see what the Design Team came up with to inspire you. Then get out your supplies and CREATE! We'd love to see what your idea is for this color dare! A suitable substitution and/or addition to this combo would be our exclusive color Flaxen. It's the best shade of gold we have in inks and cardstock! Choosing the winners was not easy this week as we had so many wonderful entries! Thank you to all who shared their cards with us this week. We love to have you join us. 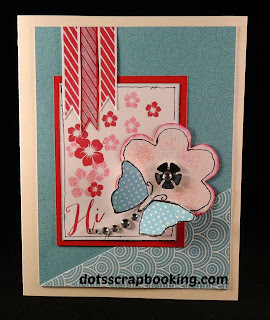 We would love to see what you can create with these bright and cheery colors found in the Close To My Heart Blossom paper pack. You have until 9PM CT Thursday, May 21 to link up your creation to our blog. If you are a current or previous winner and you would like to join us as a Guest Designer please contact Marie at mflayer at comcast dot net for more information. Hi! Welcome to the Color Dare! I hope that you'll take some time to play along with us this week. 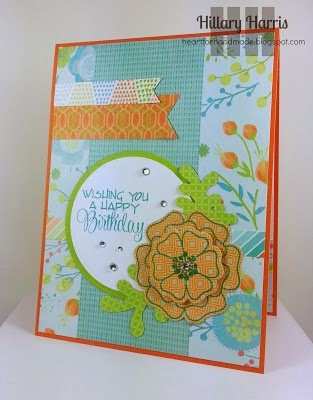 Today we are challenging you with colors from our new paper pack, Blossom. If you don't have this paper pack yet, don't worry, just use the colors. If you don't have the exact colors, just use the closest you have! It's time to give a shout out to our Weekly Winners for Color Dare #140. The colors for last week were Ruby, Crystal Blue, Colonial White and White. Colonial White and White are not usually used together. So that was a fun part of the challenge! 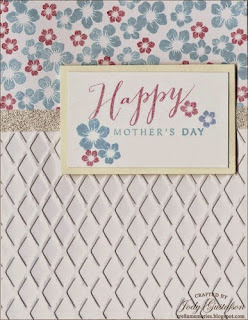 The Diamond winner is Jody G and her very pretty Mother's Day card. 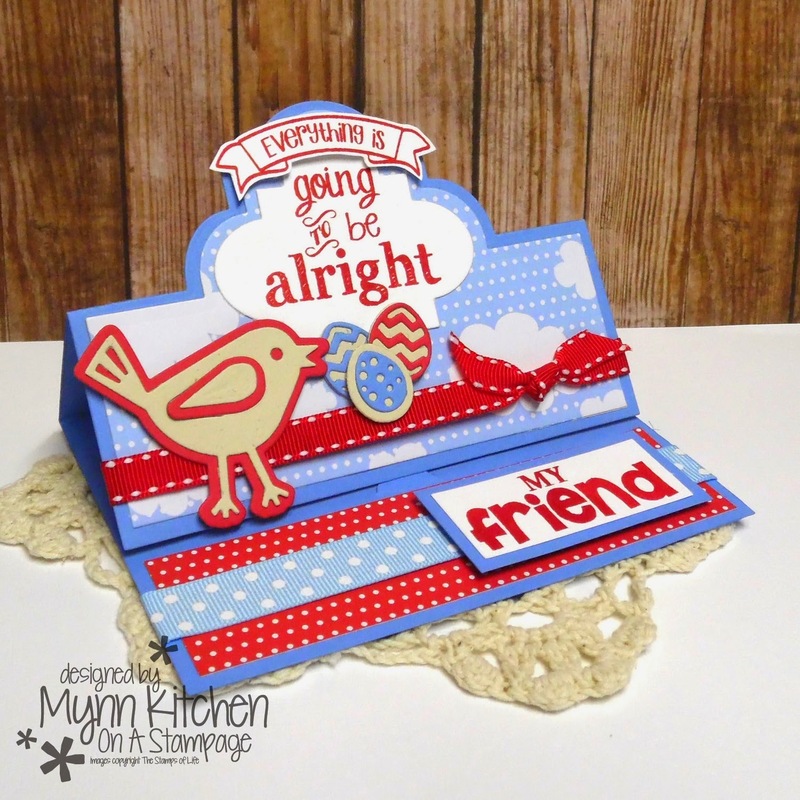 The Emerald winner is Mynn Kitchen and her cheery bird card. 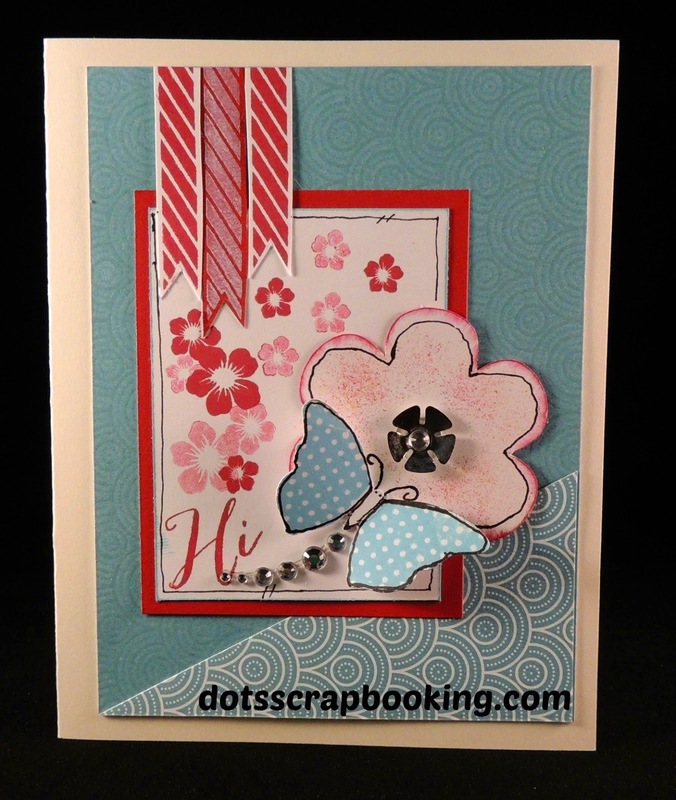 The Ruby winner is Dorothy S. and her flowery card. Thanks to all who participated. We really appreciate your taking the time to create and share your artwork. Congratulations to the winners. Don't forget to grab your blog badge from the top of this page. There is still time to join our current color dare. 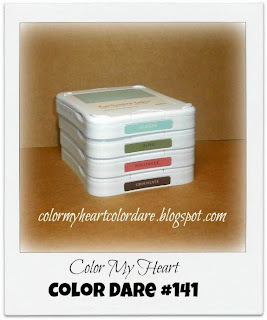 Color dare #141 features the colors Glacier, Olive, Hollyhock Kraft and Chocolate or Cocoa. If you don't have these exact colors use something close. 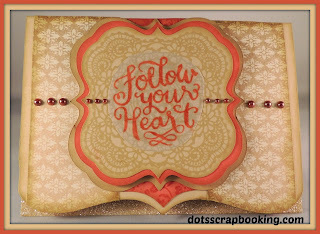 Click here to see the details on how to join us at Color My Heart! I told my design team to use Cocoa, then I realized I used Chocolate in our Challenge Photo! So you can use whichever one you want: Chocolate or Cocoa, or both. Last week's challenge featured just two colors--Sorbet and Chocolate--with the option of pearls. We had some amazing artwork entered and we appreciate everyone who shared it with us. 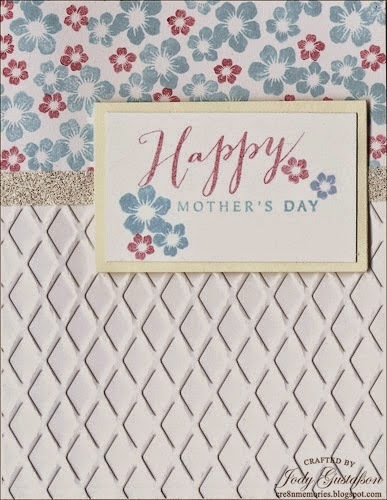 We look forward to seeing what you can create with Ruby, Crystal Blue, Colonial White and White Daisy. If you don't have these exact colors yet you may substitute a similar color. Link up your blog post to us by Thursday, May 7 at 9PM CDT. Here's a combo for you that you can interpret a number of ways. Some of us made spring colored projects, others winter. You could use it for patriotic projects too. You could make it feminine or masculine. Use your imagination! I know it's unusual to mix Colonial White with White Daisy, but try it. You might like it!